An essential tool in any kitchen is the mixing bowl. 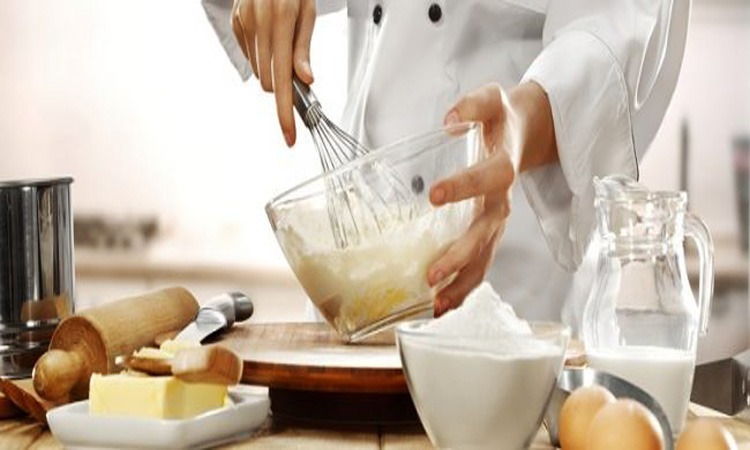 Whether you are making a salad, sifting ingredients, mixing the batter, or have other baking demands, they are great. We have selected the top 10 best mixing bowls in different sizes to do mixing in. Some are made of plastic while others have a glass construction. The fantastic thing is with a glass bowl you can place it in the freezer and use it in a microwave. Alternatively, you can consider a stainless steel one instead. The mixing bowl from ExcelSteel you can buy in different sizes. Whether you need a 1-quart, 3-quart, or 5-quart, they have everything. Compared to plastic the stainless steel structure with secure base is ideal to use. 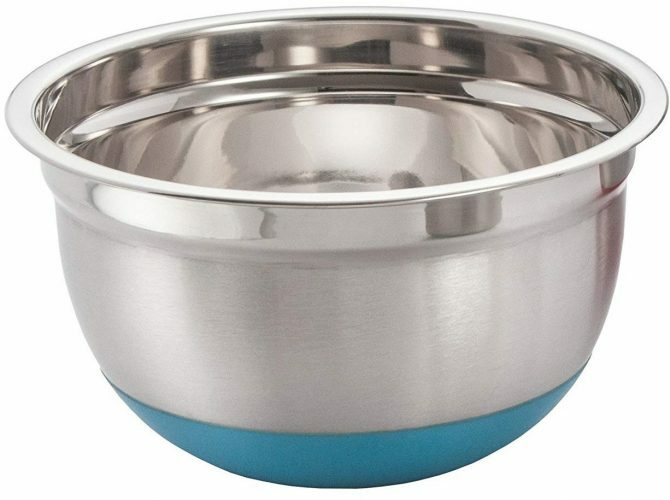 The bowl has a decant spout and is BPA-free plus dishwasher safe. The only problem you may have is the interior scratching, and it is lightweight. 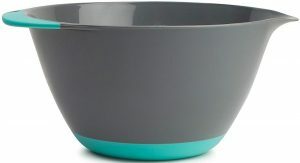 For stirring batter or tossing salads, the KUKPO mixing bowl is perfect. The non-slip grips comfortable to hold and at the bottom is secure preventing it from sliding around. The product is dishwasher safe, and you can wash it by hand. The 6.5-quart offers a large capacity and ideal for any stirring task. However, you cannot use it in the microwave. 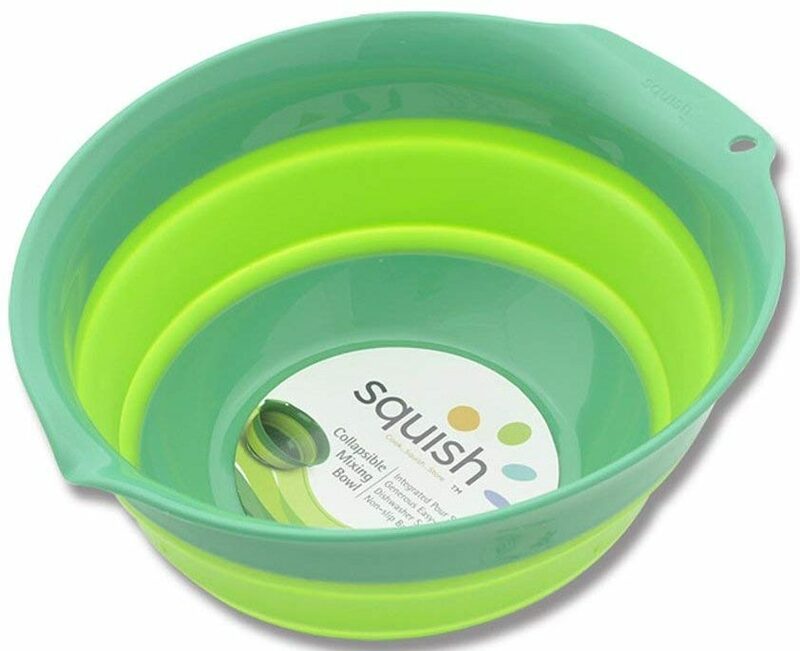 You can buy the Squish bowls in a variety of sizes and available in three colors. For easy storage, the bowl collapses and snaps into place when used. You have a dispense spout with a stable base and handle. You can place it in the dishwasher but not suitable for the microwave. 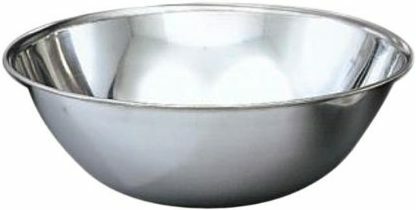 You can buy the stainless steel mixing bowl in a wide selection of sizes. The dish has a flat bottom that keeps it secure in place when mixing. Furthermore, it is dishwasher safe, and the mirror finish looks great. The only problem you may have is the interior scratching over time, and it has a lightweight design. 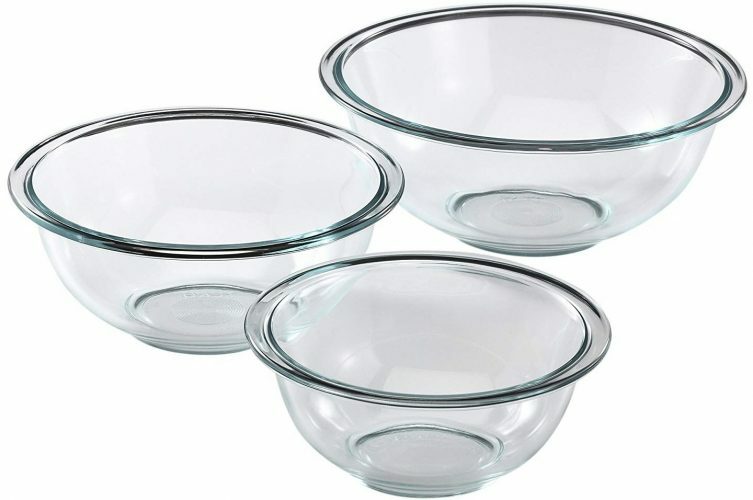 Included in the Pyrex mixing bowl set are a 1-quart, 1.5-quart, and 2.5-quart. The dishes have a glass structure, and you can use it in the microwave or a preheated oven. You can wash them by hand or place it in the dishwasher. Each bowl offers you enough mixing space and has a wide rim to hold it steady. Compared to the other mixing bowls on the list, the Vremi range offers you more than just a container for stirring or tossing salad. 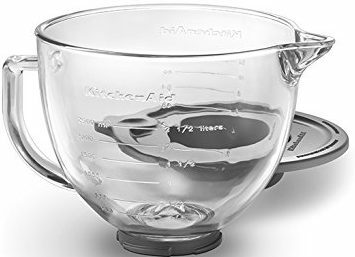 Included in the collection you get measuring spoons, cups, a mesh strainer, colander, small bowl with pour spout, and large mixing bowl. 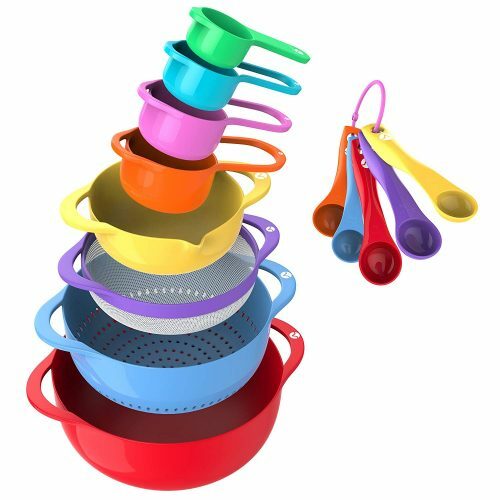 All the kitchen utensils you can place in the dishwasher and available in multiple colors. 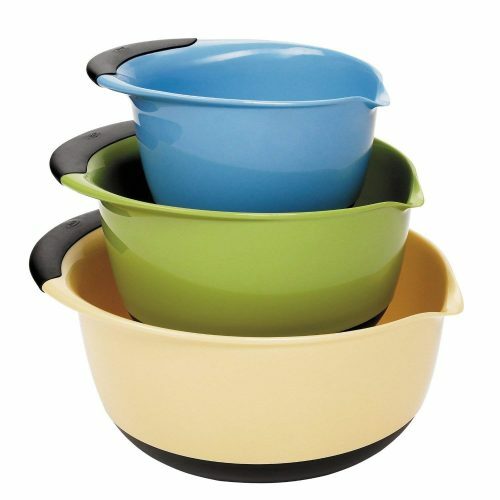 In the OXO Good Grips set, you get three mixing bowls in Blue/Green/Yellow to help make stirring tasks easier. Each dish has a non-stick bottom for stability, and they nest in each other. The bowl has an extended lip and has a pour spout for convenience and dishwasher safe. The set does not come with lids and is not microwave safe. 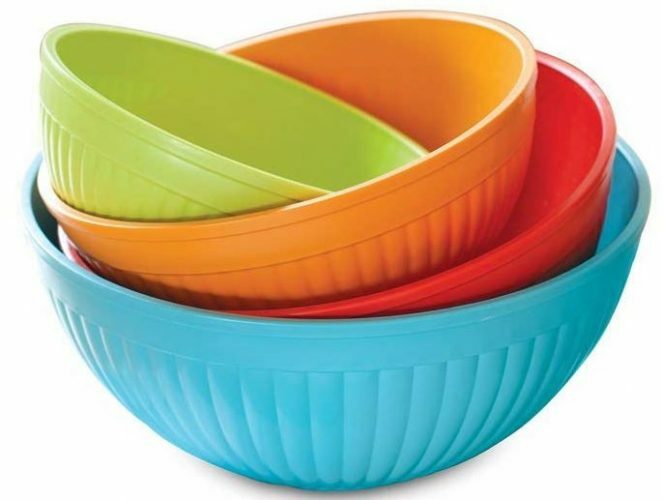 Included in the mixing bowl set, you get four colorful bowls in different sizes. You can mix up small to large batches and use them with various tasks. The constructions plastic and BPA-free and have a secure bottom to hold them in place. The only problem you may face is some foods causing stains. Further, there is no mention if the set is microwave safe. 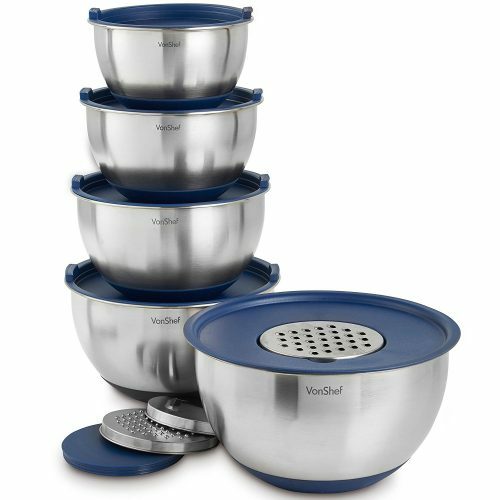 The VonShef range offers you various mixing bowls in the set with lids. The dishes have a stainless steel construction and great for whipping up egg whites. Each container has a cover to place it in the freezer. On the inside of the bowl is a measuring guide. The dishes are dishwasher safe, but you will have to wash the lid by hand. The tilt-head glass bowl fits most KitchenAid stand mixers, and you can use it on its own. To keep track of your ingredients, it has measurement markings and a pour spout. The handle is spacious and comes with a tight-sealing lid. You can use it in the freezer and microwave. Whether you are mixing the batter, whisking cream, or tossing salads, you can find the perfect bowl here. Pick one of the best mixing bowls available individually or part of a set and make your baking tasks easier. You can find a durable stainless steel, plastic or glass one on the list. And if you perhaps need to replace your baking trays, you can find a suitable baking sheet here.